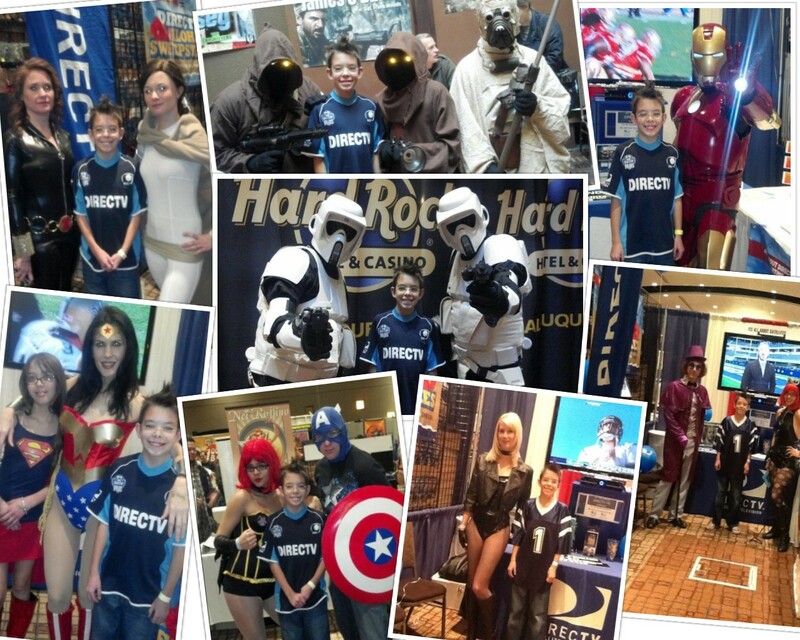 It’s All About Satellites had the great pleasure of exhibiting DIRECTV at the 2nd annual Albuquerque Comic Con Friday January 13th through Sunday January 15th at the Hard Rock Hotel & Casino. Our employees and family still have a big smile on their faces from the many characters we met and the many people we were able to provide with DIRECTV service over the weekend. We hope you enjoy the photos of our family with some of the fantastic characters we met. When you want DIRECTV service for your home or business, It’s All About Satellites is your Albuquerque DIRECTV super hero!